We have likely heard of the concept known as Planck's constant. This was the discovery of Max Planck who proposed the universe could be tiled out into cubes of a certain size. However, this is the newer understanding of this constant according to the new model of physics. The more traditional side of Planck's constant involves a unit of energy. This unit is simply understood as the following equation. So Planck's constant involved tiling spacetime out into quantum cubes with equal height, width, and depth, giving us a standard of measurement. Another interesting aspect of this constant is that the greater the energetic input into one of these packets of energy, the bigger the packet becomes. That would be like our car actually growing in size as we filled it with gas for the road trip. So when enough energy is put into a certain quantum wave/particle, that wave/particle we grow proportionally to the energy applied to it. With this in mind, we may consider a little experiment. What happens when we apply the photon to Planck's constant? One interesting constant we find is that whenever energy is pumped into a quantum particle, its size increases by 2/3s. This fraction should be familiar as this point. 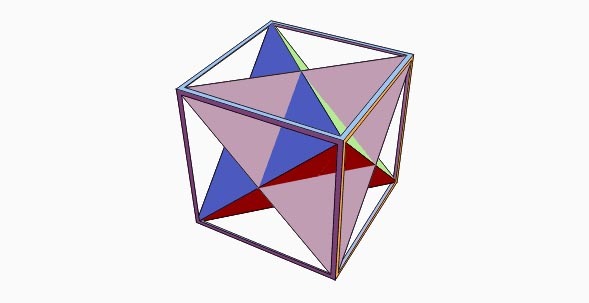 What object has been said to take up exactly 2/3s the volume of a cube? The merkaba. Let's look back to our equation. The value of h is understood as... h = 6.626 x 10-34 J/s where J/s is joules per second—the standard for measuring energy. We may know that 6.6666... is exactly 2/3s of ten. 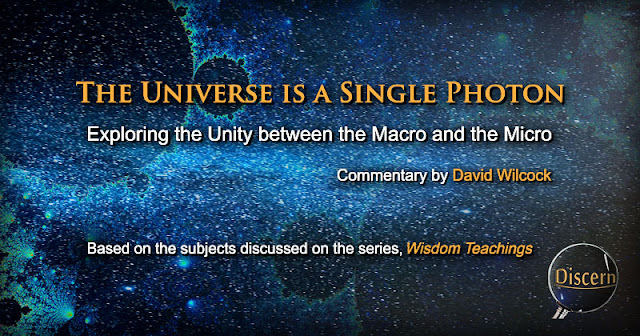 David Wilcock explains that the reason we get 6.626 in Planck's constant is that there is a slight contraction of the merkaba as it squeezed into the area of cube. The technical term for this contraction is known as Coulomb's Law (Coulomb's equation), and this is a calculation which is commonly applied in the science of quantum physics. So there is this slight discrepancy, but being off by a factor of only 0.04 still paints a very compelling picture of the direct relationship between photonic form and Planck's constant. This analysis of the congruency between Planck's constant and the star tetrahedron comes from a man named Rod Johnson. 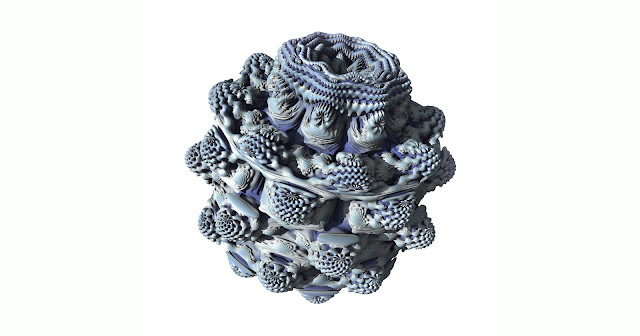 For further details of Johnson's work, see these links. In general terms, we have established the mathematical congruency between Planck's constant and the merkaba. This makes a good case for this constant as being 2/3s of the cubical area of the entirety. However, there is more to uncover. The fact that this football-shaped wave is also a particle must be taken into account. This brings into focus the possibility that the merkaba is the shape of the photon for one specific reason. According to Rod Johnson's diagram, this football shape could be explained as two tetrahedrons place end to end. 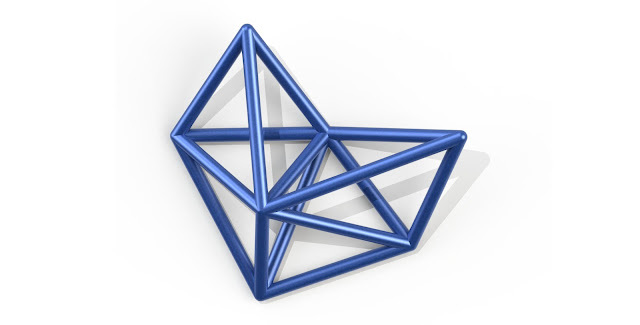 It was theorized that as these tetrahedrons travel, they maintain this shape, but they do not give off light until they contact another object. The amplituhedron consists of four tetrahedrons joined face to face - By joining four of these together, we can form the merkaba. There is one more discovery which makes the strong point that the photon is the form of the merkaba. This comes to us from mainstream science, from a recent graduate of the University of Poland. Despite his newness to the field of quantum physics, he was immediately recognized as an honorary Research Fellow at Stanford University. His name is Dr. Radek Chrapkiewicz, and when we see the significance of Dr. Chrapkiewicz's discovery, it will be obvious as to why he is so notably recognized. To start off, here is a quote from Cosmos Magazine, which describes the significance of the work of Dr. Chrapkiewicz's. 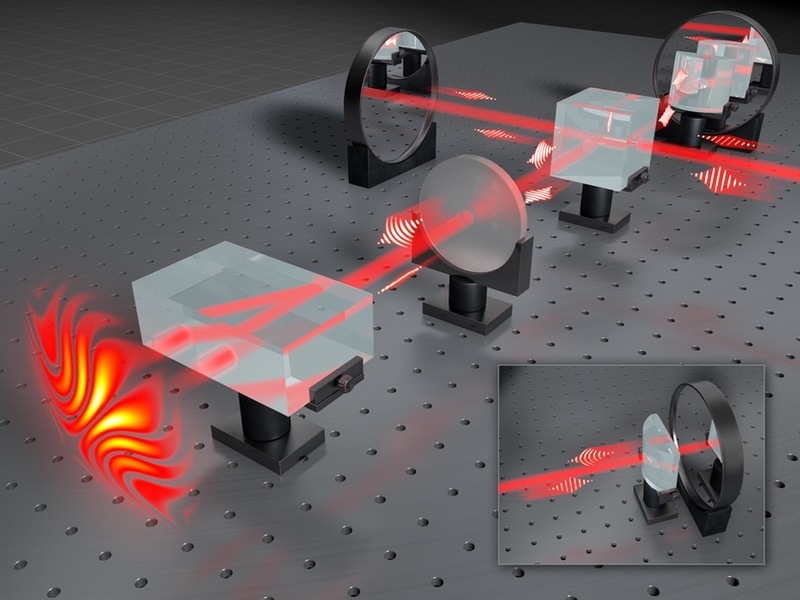 ”We performed a relatively simple experiment to measure and view something incredibly difficult to observe: the shape of wavefronts of a single photon," says Radoslaw Chrapkiewicz, a physicist at the University of Warsaw and lead author of the new paper, published in Nature Photonics. Now physicists at the University of Warsaw measured, for the first time, the shape described by Schrödinger's equation in a real experiment. Photons, travelling as waves, can be in step (called having the same phase). If they interact, they produce a bright signal. If they're out of phase, they cancel each other out. It's like sound waves from two speakers producing loud and quiet patches in a room. 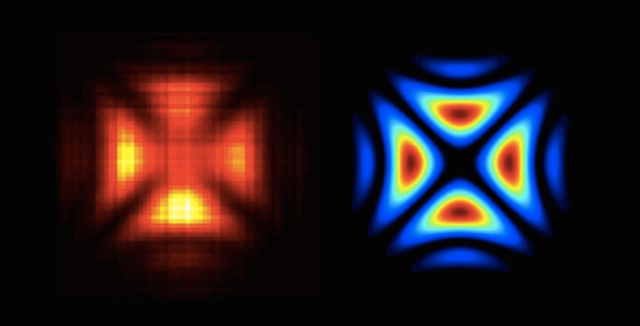 The resulting image looks a bit like a Maltese cross, just like the wave function predicted from Schrödinger's equation. In the arms of the cross, where the photons were in step, the image is bright – and where they weren't, we see darkness. 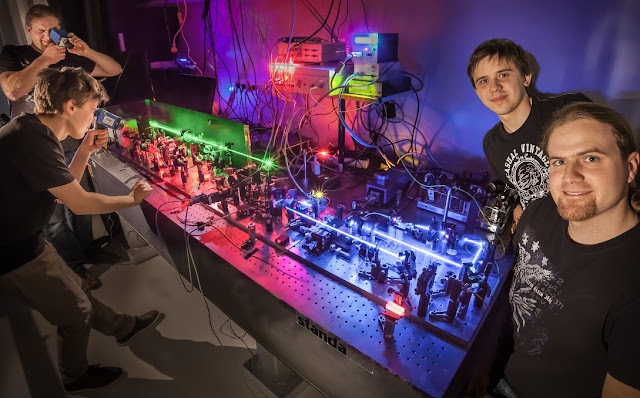 “It's likely that real applications of quantum holography won't appear for a few decades yet,” says Konrad Banaszek, who was also part of the team, “but if there's one thing we can be sure of it's that they will be surprising." This is an image of Dr. Chrapkiewicz's holographic setup. The laser (off to the right) is sent through a series of prisoms, mirrors, and lenses in such a way that causes the beam to intersect with itself. From the interference pattern that results, the form of the photon can be generated on the holographic plate (the flame-like image at the bottom left). The Masonic Square and Compass - one of the many ways in which the Freemasons passed their knowledge of the photon from one generation to the next. 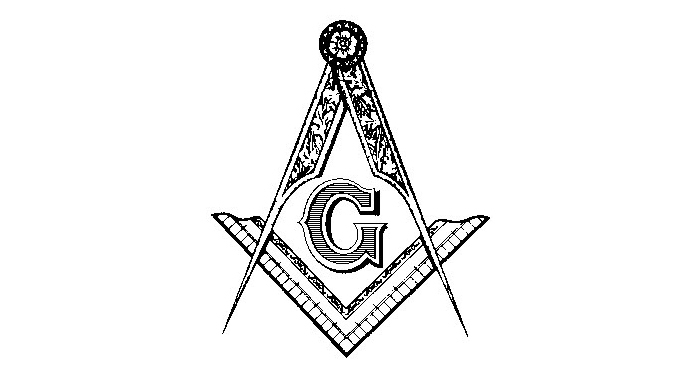 As we may know, the merkaba is not a negative symbol, but was twisted to represent negativity by the Freemasons and the Illuminati due to their distorted belief systems. "To add to the case of the tetrahedral photon, we may remember a monumental discovery in quantum physics. 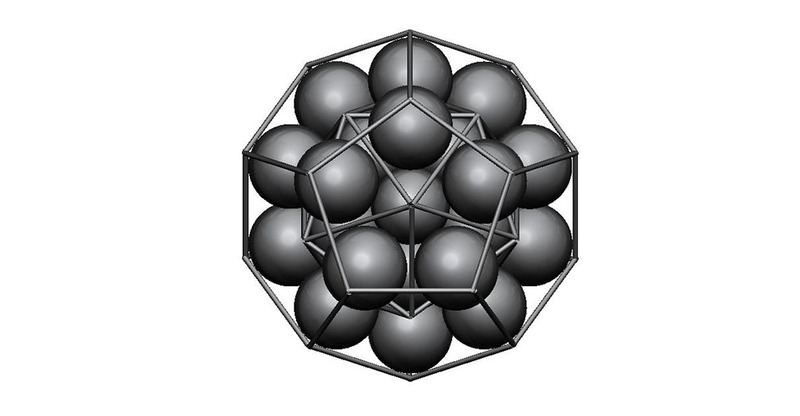 This was the discovery of the Positive Grassmannian, or more commonly known as the amplituhedron." Amplituhedron = Sound. All Energy is formed by sound. Spiritual sound. That is one way of putting it, yes. I have heard that some religious texts use that terminology. Some use the word, "word" while others may term it differently. I have understood it as "specific vibratory frequency resonating in the fluid of spacetime." It's all the same idea though.